The Chuwi Hi9 Plus is a 10.8-inch tablet from China that, even though it is affordable, offers a lot of features. It has a high-resolution screen, a deca-core processor, and integrated 4G. Additionally, you can get it with an optional keyboard cover and an active pen. Here is everything you should know about the Chuwi Hi9 Plus. The Chuwi Hi9 Plus is a 10.8-inch tablet with an almost full metal body. It is black, weighs 500g and is 8.1mm thin. On the sides, we get a USB C port and two card slots. You can either put two SIM card or a SIM and a microSD card into those. The cameras have a resolution of 8 megapixels each. A major highlight is its 10.8-inch screen. It is an IPS panel which is fully laminated and has a resolution of 2560 x 1600 pixel. That means it is a 2.5k display. Underneath, the tablet features a MediaTek Helio x27 deca-core processor. The SoC is supported by 4GB of RAM and a 64GB internal storage. It supports WiFi, GPS, and 4G. The Chuwi Hi9 Plus is running Android 8.0 Oreo out of the box and the interface is almost not customized. So, it is running almost pure Android. 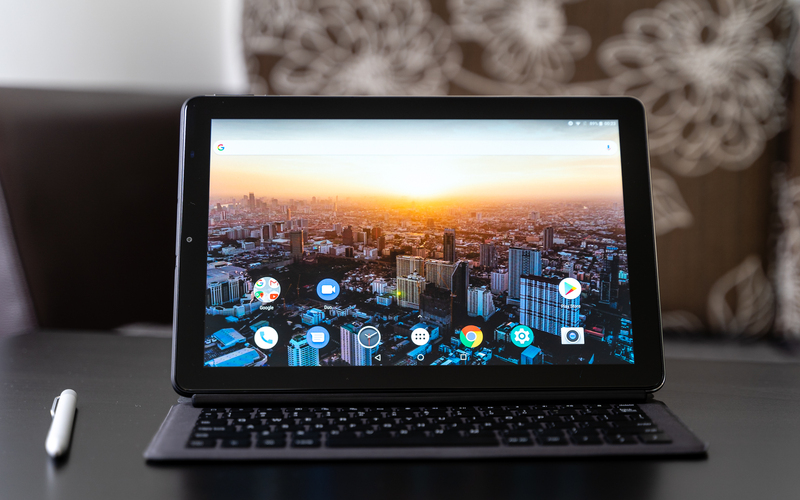 According to Chuwi, the tablet will get an update to Android 9.0 Pie in the future. If you like, you can get the Hi9 Plus with an official keyboard cover and an official stylus. The keyboard can protect the screen too but not the back. With the active pen, you can take down handwritten notes or draw artistically on the tablet. Even though the stylus is said to support 1024 levels of pressure sensitivity, that turned out not to be true. The Chuwi Hi9 Plus was released at the end of 2018. Prices start at around 250 US Dollars. While you often cannot get the tablet at local retailers, there are several Chinese shops that export it almost worldwide. The Chuwi Hi9 Plus offers a great display and a good build quality, especially when you consider how affordable it is. Other aspects like performance and software are pretty good too. Sadly, its speakers and battery life are weak. And while the pen and keyboard work, they're far from perfect.